The Spa Surgery is recognised as a Training Practice by the Royal College of General Practitioners. This means that the Practice is recognised as providing high quality services and we can offer training places to newly qualified doctors who have chosen a career in General Practice. Dr Carol Wright and Dr Jane Kirby are qualified GP Trainers and alongside the other doctors and nurses in the practice provide supervision, education and training to young doctors and medical students. How Does Someone Train To Be A GP? Following five years in medical school, the newly qualified doctor has two years ‘Foundation Training’ during which they rotate around different specialties. We have a different Foundation Year 2 doctor at the Spa Surgery every four months. 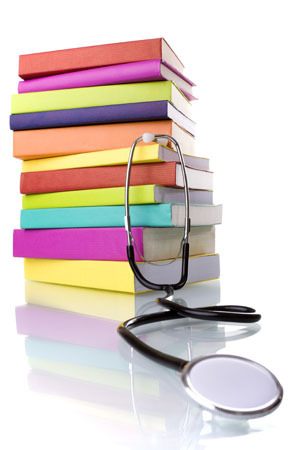 Following foundation training, doctors can choose to specialise in areas of interest. If they choose to be a GP, they spend the next three years in placements such as paediatrics, psychiatry and general practice. During this time, they must spend a total of 18 months working in surgeries (6 months in their first/second year and 12 months in their third year). We have one or two GP Registrars at any one time at our surgery. They have on the job teaching, and after surgery discussions and tutorials with their trainer, day release for courses such as family planning, group discussions with other trainees and private study time for their Royal College of General Practitioners examination which will finally qualify them as fully fledged GPs. We may ask that your consultation is recorded on video for training and qualification purposes but please be reassured we will only do this with your express consent. We also help to train nurses who are developing their careers in general practice. We will always tell you if a nurse in training is involved in your care and will ask for your consent for this. This academic year we are welcoming undergraduate medical students from Leeds University. They are in the early stages of training to become the doctors of the future and will be sitting in with our doctors and practice nurses to gain experience of consultations in primary care. We would be grateful to any patient who has a long term condition such as asthma, diabetes or heart disease and is willing to meet the students and allow them to take a medical history and examination. Please let the doctor or receptionist know if you would like to take part. We are very grateful to patients who agree to help medical students gain their higher qualifications but please note you are not obliged to do so and can ask not to be involved if you so wish.